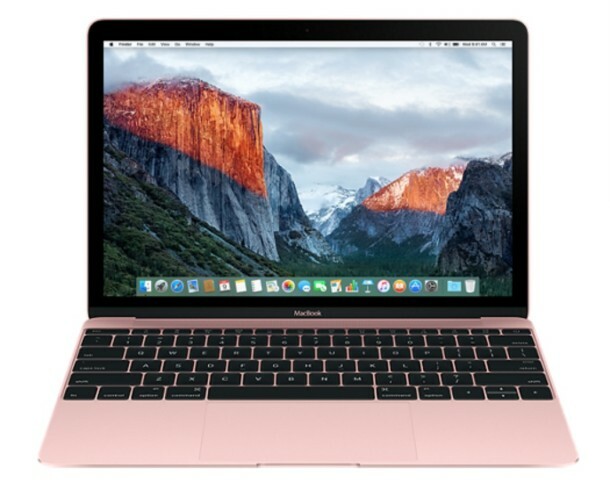 Apple has quietly released an update to their 12″ MacBook lineup, with newer processors, improved graphics, faster memory, faster PCIe flash storage, longer battery life, and the addition of an all new Rose Gold model. All models continue to offer a Retina 12″ display in the same ultra-thin and lightweight enclosure, available in the four distinct aluminum color options of Silver, Space Gray, Gold, and Rose Gold. Aside from small differences in CPU, the primary differentiation between the base model and upgraded model are the size of the flash storage. Minor customizations are available through processor upgrades that range from $150 to $250. There remains no 16GB or 32GB RAM option however, as the machine is capped at 8GB, and the SSD storage sizes are not upgradable either. 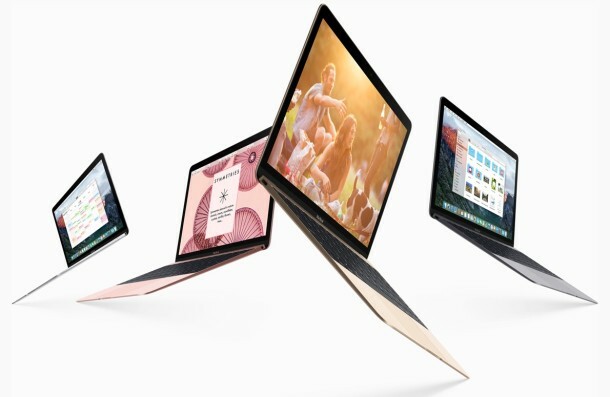 Those interested in buying one of the revamped MacBook models can head on over to Apple.com. Separately, the non-Retina MacBook Air 13″ models received a minor update and now come standard with 8GB of RAM. No change has been made to the MacBook Pro, however it’s likely the MacBook Pro model will get a fairly significant upgrade later in the year. Current rumors suggest the upcoming MacBook Pro will likely offer a redesigned thinner enclosure, improved specs, lighter weight, and the same four color option (Silver, Gold, Space Gray, Rose Gold) as other Apple products. They hold a giant 2 hour long press conference with streaming video and the whole production shebang that was unbearably boring to dump out a three year old iPhone SE with a spec bump and to put a ‘Pro’ and $100 larger price tag on the otherwise identical iPad line, and the Mac, which is where everyone gets all the work done, gets a Tweet from Tim Cook and a press release. Disappointing. Well if you buy into the Apple Marketing Speak then you would know the iPad Pro is the new workhorse! It’s where you get real work done! Never mind the dreadful ergonomics of trying to use a touchscreen all day (even Steve Jobs said “touch surfaces don’t want to be vertical. It’s ergonomically terrible. Touch surfaces want to be horizontal.” but what did he know? ), and never mind the small screens without usable multitasking or windowing, get to work on that iPad! I fear a day where I will have to return to Windows, which is actively cultivating pro users (bash! Continuum! a file system in their mobile platform! ), while Apple is actively shunning theirs. The new MacBook early-2016 model is pretty good. Geekbench scores about 2800 single core, 5800 multi-core. Not a pro user machine, but it is not meant to be, it is the replacement of the MacBook Air and will eventually be the entry level Mac. Silly complaint. The choice to watch was yours. You could have switched off any time. Nah. Still a single USB-C port and it doesn’t match the 11-inch Air yet (even though it probably will replace it). Replacing the spinning beachball with the spinning rainbow. 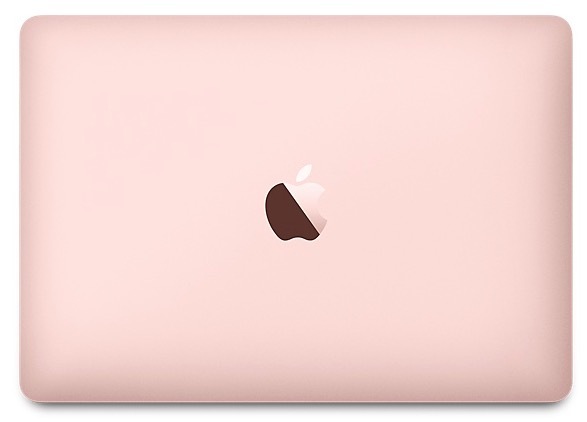 And now we have a rose gold-aka pink macbook. Oh, and let’s not forget how he scorned, mocked, ridiculed and bluntly told climate change skeptics to sell their  stock. he categorically rejected the worldview behind the NCPPR’s advocacy. He said that there are many things Apple does because they are right and just, and that a return on investment (ROI) was not the primary consideration on such issues. “When we work on making our devices accessible by the blind,” he said, “I don’t consider the bloody ROI.” He said that the same thing about environmental issues, worker safety, and other areas where Apple is a leader. Sounds very reasonable to me. Indeed there is often little “ROI” for doing the right thing. As I am, in fact, blind, I can say only that Apple’s accessibility commitment is miles ahead of the competition, but that, unfortunately, Apple has other priorities that suit them better. I hope the new MacBook Pro is a lot better than this. The benchmarks for the MacBook are the same as my iPhone 6S Plus and that is not encouraging! My wife has a 1st gen MB. Regardless the benchmarks, what I can say is that little machine can perfectly handle almost 100 web browser tabs (yep, that’s how she works), video streaming & airplay screen mirroring to Apple TV. I even installed a DJ software (which usually runs on my Pro) just for fun and surprisingly it works without skips or lags. So unless you want video rendering, encoding or other crazy CPU intensive tasks, this little golden book is awesome. EVERY business leader considers the Return On Investment. Don’t be naive. He’s said what he said as it’s a useful ethical and soundbite. But make no mistake, they have considered the cost of this. Dell XPS rocks. it’s just unbelievable how overpriced with that specs. I will continue to use windows 10 with my mid 2014 mbp and immediately switch to XPS when I have opportunity. They also have ruined OSX too, it’s sad. I’m beginning to think OSXDaily should spin off another site called OSXHatersDaily. I’ve never read a bigger bunch of drivel from nit-picking whiners. If you don’t like Apple, then don’t buy it. These specious criticisms of the MacBook, VoiceOver, Macbook Pro and iPhone 6 Plus… and Tim Cook only illustrate how spoiled people are becoming. Why not actually •use• your devices, instead of hunting for every flaw, and expecting Apple to bend to your every immediate desire and whim? Kids today! I think the criticism on something like a revised MacBook is misplaced frustration over perceived declining software quality, and an apparently increasing disinterest in “pro” user markets. Just a hunch, but I see it everywhere that Apple is discussed where the user knowledge level is fairly high. Get a load of Twitter, for example, it’s basically Complain On The Internet As A Service. Do you know how much the essential USB-C VGA Multiport Adapter weighs? I give presentations regularly and most projectors at conferences are still living in the dark ages and require VGA connection. Amazon suggest it weighs 18g which I find hard to believe as my old display port to VGA adapter weighs 34g and only has one connection not 3. Shame to buy a laptop which weighs 160g less but then have to buy heavy cables to go with it. It would also be nice to know how much the USB C to normal USB3 adapter weighs as I guess I would have to lug that around too. « The FBI Director Puts Tape Over His Webcam, Should You?